Flynn. . 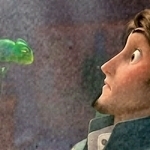 Images in the Disney Prince club tagged: prince disney tangled flynn. This Disney Prince icon might contain kijani beret, vikosi maalum, askari wasomi, askari wa wasomi wa green beret, vikosi maalumu, rifleman, fatigues, and kombati.